Hence, not to be under the law means, not only that we are not under the letter which prescribes what involves us in guilt, as we are not able to perform it, but also that we are no longer subject to the law, as requiring perfect righteousness, and pronouncing death on all who deviate from it in any part. In like manner, by the word grace, we are to understand both parts of redemption — the remission of sins, by which God imputes righteousness to us, — and the sanctification of the Spirit, by whom he forms us anew unto Good Works. Rom. 6:15-16 What then? Are we to sin because we are not under law but under grace? By no means! 16 Do you not know that if you present yourselves to anyone as obedient slaves, you are slaves of the one whom you obey, either of sin, which leads to death, or of obedience, which leads to righteousness? …so as man's doing good and refraining from evil, because the law encourageth to the one and deterreth from the other, is no evidence of his being under the law and not under grace. How often is this verse quoted as “Christ is the end of the law” and by which people imply that Christ abrogated the whole Old Testament law! It’s quite amazing that people so misuse this passage. It is true that Christ is the end of the law, but for a particular purpose, not wholly! There is not a period after “end of the law”, but the Apostle then goes on to explain for what is Christ the end. Christ is the end of the law for righteousness. What does this mean? The law being referred to here is the whole Mosaic Law which the Jews, by their obedience to it tried to gain a right standing with God. By their obedience to the Law of Moses and their works, they thought they would be justified. This, the Apostle has totally refuted especially in chapters 3-4 of this Epistle. What he argues here is that “Christ ends using the law for the purpose of obtaining a right standing with God.” The law was not given for the purpose of producing righteousness and salvation, it cannot accomplish that for sinful man. Rather it was given to reveal sin and show its sinfulness (Rom. 3:20; 7:5, 13). ...Mat. 17:18, “And Jesus rebuked the devil.”)’. The faithful pastor is to reprove error, rebuke false teaching and to exhort his people. This he should do with and in patience and teach the Word of God. Paul writes concerning the Lord’s servant that he “must not be quarrelsome but kind to everyone, able to teach, patiently enduring evil, correcting his opponents with gentleness” (2Tim. 2:24-25). To be a pastor and a teacher is a great privilege and blessing. But, as we also read in 2 Timothy 4:1, it is a solemn charge and task, which should not be toyed with. The preacher ought to teach God’s people God’s Word and preach the Gospel of Christ for the salvation of sinners and the upbuilding of the Church. It is indeed a solemn and a noble task. Singing is an important element of worship. It is our response to what the Lord has done and what He will do. Music and song are an important part of expressing our feelings and thoughts as humans. 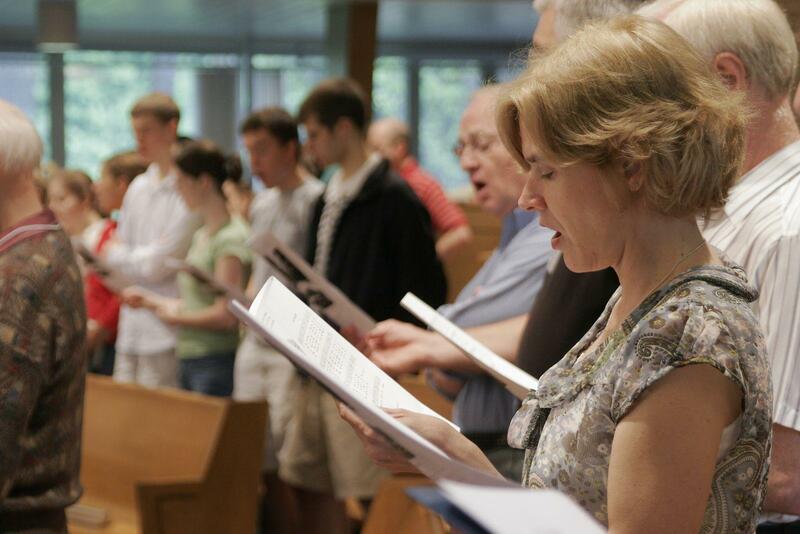 From the earliest times, people have engaged in worship through song and music. When the Lord delivered Israel through the Red Sea, the people responded with a song of praise (Ex. 15:1-21). It was a natural reaction to what the Lord's work to burst into song and praise. The book of Psalms is a collection of 150 songs and prayers for God’s people to use, inspired and given by His Spirit and should be used by them. Yet, inevitably, the question of Exclusive Psalmody comes up when we speak about the Regulative Principle of Worship. Are Christians only commanded to sing the 150 Psalms? I would like to give a brief defense that we’re allowed/commanded to sing more than only the 150 Psalms. First, let us notice the different wording of our Confession here from the Westminster and the Savoy, which it heavily depended on. ...confidence to enter the holy places by the blood of Jesus… let us draw near with a true heart in full assurance of faith, with our hearts sprinkled clean from an evil conscience and our bodies washed with pure water.” We can have assurance of faith, but not merely assurance, but full and complete assurance. Why? Because of the nature of the New Covenant, that is the “therefore” there for (see Heb 10:1-18 above). And based on this truth and the nature of the New Covenant, we are encouraged to “hold fast the confession of our hope without wavering” (Heb. 10:23), “stir[ring] up one another to love and Good Works” (Heb. 10:24) and not neglecting to gather for church, but rather encouraging each other to fellowship (Heb. 10:25). This is the background of this warning about apostasy. The background is not one of doom, but one of hope for the believer. The passage begins with the conjunction “for” which is referring back to all that was said in previous verses which I tried to summerize above. The idea that we get is that if we reject all that was said in vv. 19-25 and likewise vv. 1-18 which are the basis of vv. 19-25 then we are without hope. If we know and understand what is said here, yet still reject it, choosing rather to sin while knowing the truth then there is no longer a sacrifice for sin for us. This is similar to the apostates of Hebrews 6:4 who were “enlightened” (see my comments) and while knowing and experiencing the truth, rejected it and went back to Judaism. If after knowing the truth of the Gospel, they profess it, reject it later and apostatize back to Judaism, there will be no sacrifice for them anymore as the institutions of the Old Testament were fulfilled in the work of Christ. If they reject the only sacrifice that can deal with the problem of sin, then there is no other sacrifice for sin that they can look forward to. As the Author explained at the beginning of the chapter (Heb. 10:1, 4, 11), the sacrifices under the Old Testament never took away sin, but rather were shadows of Christ’s once for all time perfect sacrifice to do away with sin. There is no sacrifice for them for the sin of apostasy which God will not forgive in the case of those spoken of here and Hebrews 6, but they will also find no effectual sacrifice for sins in the Temple sacrifices, even though at the time of writing the Temple was standing and the sacrifices were offered every day. They will find no forgiveness for their sins, but rather fall into the hands of an angry God. As they apostatize from their profession of Christianity, while knowing the truths of Christ, they at the same time reject the only way for forgiveness of sins and can expect nothing but the wrath of God to consume them without mercy. Gen. 15:6 And he believed the LORD, and he counted it to him as righteousness. ...e firstfruits to be saved, through sanctification by the Spirit and belief in the truth. 14 To this he called you through our gospel, so that you may obtain the glory of our Lord Jesus Christ. Notice how the main end of the Lord, namely, bringing harm upon Absalom, has the means of the counsel of Ahithophel being overthrown. Absalom chose the counsel of Hushai above that of Ahithophel and the Scripture gives us the reason why he did that. "For", says the Holy Spirit, the Lord ordained, decreed and wanted to defeat the good counsel of Ahithophel. But why did the Lord want to do that? The last part of the verse gives us the purpose of the Lord's doing, "so that", He would punish and bring harm upon Absalom. We see that the concept of God ordaining the ends as well as the means is not only logical and common sense given what the Bible says about God's sovereignty, but more importantly, it is biblically attested to. See also chapter 5, paragraph 3. ...tyle="color: #00ffff;"sanctify her, having cleansed her by the washing of water with the word, 27 so that he might present the church to himself in splendor, without spot or wrinkle or any such thing, that she might be holy and without blemish. ...appointed in it. On this day, not only the apostate angels (Jude 6; 1Cor. 6:3) but also all persons that have lived upon the earth shall appear before the tribunal of Christ (2Cor. 5:10). Even Christians will have to appear before the tribunal of Christ. What is the reason of their appearance? It is to give an account of their thoughts, words, and deeds (Matt. 12:36) and to be rewarded according to what they have done...whether good or evil (e.g. Rev. 20:11-15). God will reward us to take rewards away according to the works which we have done in the body. All our Good Works have been washed away by the blood of Christ and rewarded by grace. But there will be some who will lose rewards because of their works. The wicked will be condemned by their works because they demonstrate their nature as fallen and wicked. ...st step toward doing that which is pleasing in God's sight is repentance and faith – the forgiveness of our sins and being made a new creation. We must have faith in the Son of God. This is not generic faith, but saving faith in what God has done in His beloved Son. Hebrews 11:6 says: “And without faith it is impossible to please him, for whoever would draw near to God must believe that he exists and that he rewards those who seek him.” Faith is necessary for us to please God. Everything we do outside of faith, no matter how good from the outside, is filthy in the sight of God. The Scriptures do not only say that we are unable to do good (e.g. Rom. 3:12), but that even our Good Works, outside of faith in Christ, are sinful (e.g. Rom. 14:23; Isa. 64:6). Secondly, Good Works to be good, they must be done with God's glory as the highest intention and motivation. The Lord Jesus in Matthew 5:16 told his disciples: “In the same way, let your light shine before others, so that they may see your Good Works and give glory to your Father who is in heaven.” Our Good Works have to display the glory of God. They must be done with God's will and glory as the primary cause of our action (1Cor. 10:31). See further chapter 16 on Good Works.